Thomas Cook had set up a digital delivery group made up of multiple teams to enable in-house digital product development. It was faced with a range of issues around unpredictability of delivery, inconsistent ways of working, minimal transparency in team progress, ambiguity of roles and responsibilities and a lack of ownership. These are common issues for many large organisations like Thomas Cook, so it was time to make a change to how they delivered on Digital. 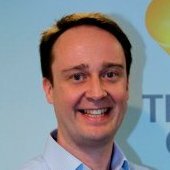 A 12 week bespoke coaching plan was launched by AND Digital with Thomas Cook teams, covering skills and practices including; Scrum, agile analysis, story mapping, and agile development and testing techniques. Each Squad team was coaching on ‘ways of working’ to embed the consistent approach and good practice, ensuring they achieved the expected outcomes. A number of Communities of Practice were established to reinforce improved ways of working in teams​. AND Digital brought experienced digital practitioners to augment the Thomas Cook Scrum teams and support in embedding the planned changes. The AND team also supported Thomas Cook in delivering a number of key projects, site features and enhancements ahead of their peak trading period around Christmas. Clear reporting structure and role profiles – A new accurate performance assessment and an improved sense of ownership of the different digital delivery areas due to clear role descriptions and competency expectations. Consistent and correct ways of working across all teams – Due to RACI Models developed for all Scrum events. It also meant a familiarity with key events, activities and expected outcomes and ease in integrating any new team members. 70 people trained – Completed training for multiple teams, both on and off-shore. ‘Communities of Practice’ set up per role – This enabled a reinforcement of the consistent ways of working in teams​. It has gives people a new support system, and a forum to share and identify common pain points and innovation to overcome them. Business control of ‘Best Offers’ on SEO pages – AND Digital led the greenfield development of a new Business Configuration Tool to provide business control of ‘Best Offers’ on SEO pages. This meant that Thomas Cook can quickly create and edit SEO friendly urls for accommodation pages. Higher customer conversion rate & lowered click rate – Customers are offered a package based on business selected parameters. The bounce rate from the page was lowered as people increased in click through to booking page. Overall the AND Digital model, which was about targeted training for each Squad, followed by supplementing those teams with digital experts to embed the learnings – was a unique approach that Thomas Cook found critical in the successful implementation of the transformation project. There was a very clear impact to the Thomas Cook Digital teams’ ways of working – we were able to move to clear and committed release cycles with known delivery dates and known deliverables. The value this created for our customers and the business is clearly measured through trading performance and in the vastly improved relationships the team now has with its internal stakeholders. It also, of course improves job satisfaction and pride in doing a great job.